2Co 11:13-15 For such men are false apostles, deceitful workmen, disguising themselves as apostles of Christ. (14) And no wonder, for even Satan disguises himself as an angel of light. (15) So it is no surprise if his servants, also, disguise themselves as servants of righteousness. Their end will correspond to their deeds. Today I watched an ABC 20/20 program on a horrifically evil psychopath and serial killer who came to be known as BTK (Bind, torture, kill). He chose this nickname for himself. Dennis Rader murdered 10 people, including children, from 1974-1991 in Wichita, Kansas. His reign of terror ended after some 30 years when he was finally caught in 2005. If you want to know more about how evil hides, about how wickedness in the operates and thinks in forms of, for instance, pedophiles and domestic abusers who masquerade as fine Christians, I highly recommend you watch this program (I watched it on Hulu but I think you can watch it in parts on Netflix too). As I was watching, it struck me that abusers (and let’s just stick to the subject of domestic abusers for now) very much share some of the same mentality as BTK and other serial killers. 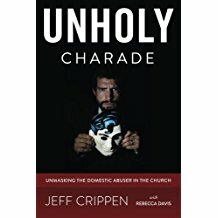 I think this is vital for us to understand lest we underestimate the craftiness and seriousness of domestic abusers hiding in the pews. Not even his wife or children ever suspected he was anyone but the loving, responsible father they knew him as. Rader was in reality however what the FBI profiler called “a power and control killer” who also craved media attention. When he didn’t think he was being given enough recognition in the media and community, he would ramp up his game again, sometimes after years of silence. And it turned out that all along, this man everyone thought they knew — no one knew. BTK turned out to be the friendly neighbor, the guy wearing a badge, the fellow you saw at the grocery store or at church. He even got one of his fellow church members who worked at the local TV station to take him on a tour of the news studio just months before he was finally arrested. While there he photographed and watched the news reporters broadcasting news stories about BTK while in fact BTK was standing just a few feet from them! Making them one dimensional opens yourself up to them and puts you in danger if you think they are so easy to see. Understand? When we think that, for instance, a domestic abuser is actually quite easy to spot because people only present themselves to us one dimensionally without any other sides or facets to who they are, is false and dangerous thinking. It permits the evil one to dupe us and to operate unnoticed or unsuspected. This of course is the very thing that protects and enables abusers who put themselves off as the finest Christian church members and saints you could ever know. They count on people assuming that they are who they appear to be. And of course most people, especially professing Christians it seems. want them to be who they appear to be. Mat 23:27-28 “Woe to you, scribes and Pharisees, hypocrites! For you are like whitewashed tombs, which outwardly appear beautiful, but within are full of dead people’s bones and all uncleanness. (28) So you also outwardly appear righteous to others, but within you are full of hypocrisy and lawlessness. Abusers, that is, people who have a profound sense of entitlement to power and control over others and who see themselves as fully justified in using whatever tactics are necessary to gain and maintain that power and control, share in the mentality of serial killers like Dennis Rader. “Oh, come on,” I can hear the typical professing Christian say. “Surely there is a vast difference between serial killers and some guy in my church who isn’t the best husband in the world.” Well, I doubt that hardly any such doubters will listen and grow wise, but here is truth. Abusers as defined above are in fact “power and control killers” just as that FBI profiler classified Rader. It is power and control that abusers lust for and they kill and destroy those they abuse. This is indeed how serious the gravity of this thing is as it creeps into our churches. Yes, it is that evil. These kind of people who so often gain power in our churches are turned on by having this power. Not necessarily sexually (though we see that in churches too), but certainly power over gives them a real rush. Finally, I said earlier that Dennis Rader lusted for media attention. Very similarly, the “fine, Christian” facade which abusers in churches so often put on is designed not only to hide the abuser’s dark deeds, but to gain him glory and praise from others. They too want their names in the headlines – at least in the headlines of their local church. The slip up that Rader eventually made which resulted in his arrest was when he sent some computer files to the police department as part of his continuing cat and mouse game with them. Like all psychopaths and sociopathic, narcissitic abusers, Rader thought himself far superior to the police, able to toy with them indefinitely. But the computer disk he sent them was electronically labeled. Computer experts quickly discovered that it had been made on a computer at Christ Lutheran Church by someone named “Dennis.” They very soon learned that Dennis Rader was the president of that church’s congregation. Understand? When scripture tells us that Satan’s agents can appear to us as “sons of righteousness,” it means that even the most evil serial killer can come among us, worship with us, sit with his family in the pew, be elected president of the congregation, and never give an overt hint to us of the true person he is. If we refuse to acknowledge this truth and fail to heed the warnings and commands in God’s Word, then we become passive participants in his evil for which the Lord holds us accountable. In the next several weeks I am going to be writing a series of posts here in which I will tell you the story of how the church I have pastored now for 26 years permitted evil to creep in among the flock decades ago. The disguises of counterfeits were accepted and believed until the church almost became no church at all. I suspect that the story I will tell has been repeated countless times in countless local churches where many of the evil ones still reign. There are lessons to be learned and wisdom to be gained that will definitely help those who grow in wisdom to recognize the typical signs of a wolf in wool.